Today’s podcast episode is based on a question sent in from one of our listeners. And before we get started, just to say thank you to all you runners who send in these kinds of questions and who listen regularly, I want to let you know that we are running a contest for the next two weeks. I’m giving away three 15 minute phone consultations completely free and all you have to do to enter is go to iTunes. Leave an honest review on what you think of the Doc On The Run Podcast. Then subscribe to the podcast and send an email directly to me to me at drsegler@docontherun.com to let me know that you posted your review on iTunes. Each week for the next three weeks we are going to pick three reviewers at random and those winners will get a free 15 minute consultation where we can talk about injury prevention strategies, we can answer questions about running biomechanics, we can talk about different types of running shoe, your, form, your favorite race, whatever else you want to talk about. So go leave a review and then send me en email. This is a tough problem and I really believe that for all runners there is a solution. You’ll just have to figure out the solution for you and so maybe the surgeon is offering a solution, maybe not. But there’s also tons of stuff written that can be misleading and stem cell is one of those things that can be very misleading. Stem cell is sort of like the new snake oil. It seems like it’s been recommended from everything from miracle facials to curing hemorrhoids and everything in between. Stem cell therapy may have some promise but it also has lots of mysticism surrounding it according to medical literature. To answer the first question, I find it very difficult to believe that a stem cell injection could heal the plantar fascia. I think that is really a long shot. If you have surgery, you release the plantar fascia, I think that is unlikely. But we are going to talk about this in detail. Before we get started trying to explain some possible solutions let’s make one thing clear to all of the runners out there who currently have plantar fasciitis. Plantar fascia release surgery is commonly, even routinely, performed for chronic plantar fasciitis. But it should never be one of the first options considered by a runner. So if your doctor tells you that you have chronic plantar fasciitis and you need surgery to simply release part of the plantar fascia, make sure you get a second opinion from someone who treats runners before you head to the operating room. Once you have surgery all of the rules change. Your anatomy is different and sometimes bad things happen. And just to be clear, collapse of the arch and instability in your foot after plantar fascia release surgery is a known potential complication of the surgical procedure. I have done lots of plantar fascia release surgeries on patients and every single one of the consent forms I handed to a patient and we discussed this specific risk. Even though it’s terrible thing if it happens, it doesn’t constitute malpractice. It’s just what we refer to as a bad outcome. But the truth is I think this procedure is done really frequently and it’s often recommended as a treatment for chronic foot pain in runners. But I do think runners have special considerations and hopefully this will help you understand a little bit more about the risk and about what can happen and then what if anything you can do about it if this problem does developing in your own foot, if you choose to have the surgery. The plantar fascia is the biggest ligament in your foot. If you think about the word “fascia”, fascia on a house is a covering and the fascia in your foot is a structural element. You need it. It helps hold up your foot. One of the things doctors tell patients is that they will get scar tissue filling in the plantar fascia after surgery. But that doesn’t always happen. The foot has to be held completely still for at least a month before you can get any sort of scar tissue that can contribute to the structural integrity of the plantar fascia. So in many cases what really happens is we cut part of the plantar fascia. The part of what we cut is the medial band of the plantar fascia and that’s the part that has the most tension. But the force of that tension never goes away. That tension all gets transferred to the remaining intact portion of the plantar fascia. As a consequence, the plantar fascia is no longer supporting the foot in the same way. If that happens then you can actually get pain on the outside of your foot because there is so much tension on the outside of your foot with the plantar fascia. Another thing that can happen is all of those excess forces that are no longer supported by the plantar fascia after it’s been cut, those forces will put a strain on the other elements of the foot. Sometimes the rest of the plantar fascia can rip apart. Sometimes the spring ligament underneath the arch can become stretched out or tear completely. Sometimes the posterior tibial tendon gets weaker as it tries to take over the function of the plantar fascia. If any of those things happen then the arch can start to collapse. For a runner who has surgery on the plantar fascia and then wants to do something to fix those problems that happen after the surgery, you really have to figure out which one it is that you’re trying to fix. Are you trying to repair the plantar fascia that has been cut? Are you just trying to provide some additional support to the foot to prevent further collapse of the arch? The truth is it’s not really going to heal unless you are trying to repair it immediately after surgery. 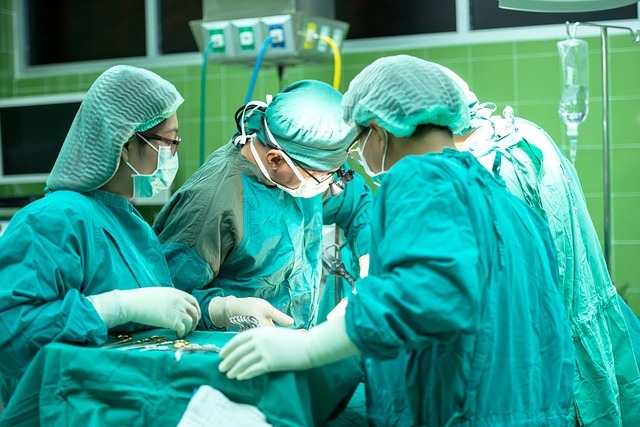 Right after surgery, most of the time the doctor will recommend strict non-weightbearing meaning you have to use crutches, wheelchair, knee walker, something like that where you are not walking on the foot at all. Because every time you stand on it, you stretch out the plantar fascia ligament and it just can’t heal back together if you’re walking on it. It’s a horrible thing to put runners in strict immobilization or non-weightbearing because in one week of non-weightbearing with crutches you’re going to get a 17% reduction in the muscle fiber diameter in that leg. In only one week. If you do it for four weeks the immobilization gets 60% reduction and that’s a huge change in the size of your calf muscle and all the muscles in your leg that support you when you run. There are some evidence that if you do collagen supplementation that it can actually help you synthesize collage which makes up the plantar fascia if you’re doing that immediately after surgery or while it’s repairing. Some doctors will recommend a PRP injection. I do not do PRP injection on people when they rupture their plantar fascia because I have been able to get just about everybody to heal without doing that. It’s expensive and it’s invasive so I don’t think you should do it unless it’s going to work. Stem Cell injection are totally experimental and there is no evidence at all in the medical literature that if you do a stem cell injection it’s going to make your plantar fascia grow back. It’s not in the literature. Most podiatrists and many orthopedic surgeons all recommend custom orthotics to kind of hold your foot in a corrected position. That’s the simplest thing. If you make really aggressive custom orthotics with a deep heel cup and lots of support it may actually hold your foot in a better position so that you could walk and even potentially run without having pain. Doug Richie is a well-known sports medicine podiatrist who invented the Richie brace many years ago and it’s really the standard for athletes who want to have more support. Surgery is another option. First thing you have to understand is that when we cut the fascia we don’t sew it back together once we cut it apart. I don’t really believe that you can go in and sew up the plantar fascia or surgically repair the plantar fascia after you cut it and I don’t think that’s a reasonable option for a runner. There are other surgical options. One possible option is to put in a small implant call an arthroereisis implant. This is a small metal cone or a cylinder that can help hold the foot in a corrected position and support the arch. It’s a very simple surgery and it’s reversible. We basically put that into the subtalar joint to hold the subtalar joint in position which actually holds your arch in a corrected position. That’s one of the things I would probably think of as first option for this kind of patient. It just depends on what the foot looks like on X-rays and when the patient is standing but I have done several hundred of these actually. I think I have done almost four hundred of them. It is an effective procedure in the right patient but somebody has to look at you and make an assessment. Another option is to fuse any of the joints toward the inside of the foot over the arch. The most common procedure, probably a Lapidus procedure where we fuse the first metatarsal bone to the medial cuneiform bone and sometimes the joints in between the first and second metatarsals. That sounds a lot like what the surgeon recommended at the Mayo clinic. That can provide more stability because it helps to support the arch somewhat but it only supports part of the arch. So that might work and it may to be enough support but you can’t tell until the surgery is over with. Another procedure is to fuse the talonavicular joint. This is a larger joint and it’s the one that’s sort of right at the apex of the arch. It is the most effective fusion in that section of the foot and it will support the arch. It will help you maintain your arch but it will also make the foot extremely stiff. Fusing the talonavicular joint alone will actually stop 85% of the pronation and supination motion that happens in the foot when you walk and run. Obviously with that amount of change in the motion within the foot is really going to change running biomechanics significantly. But we are already talking about somebody who can’t run at all so that might be a reasonable thing to do but that sounds like a more aggressive surgery than what’s been currently recommended for this particular patient. 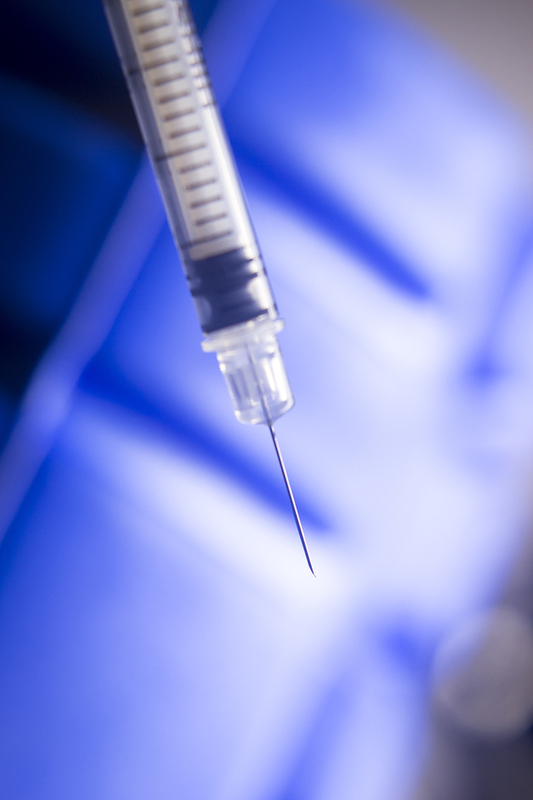 Stem cell injections are totally experimental. I find it hard to believe that just doing the stem cell injection alone would fix this problem or have any real hope of fixing this problem. You have to really figure out what’s going to work. The bottom line here is that surgery is the best option when it’s the only thing that will work. But if there is anything else that is less invasive, less restrictive and potentially less risky, that’s always better in my mind. As a runner you have to be your own advocate here. You have to ask lots of questions like what would happen if you fuse that joint and I can’t run. What would happen if you fuse that joint and I am no better like what would you do next? There’s always has to be some sort of what are you going to so if that doesn’t work. I think it’s very important to ask that question anytime you’re considering surgery. 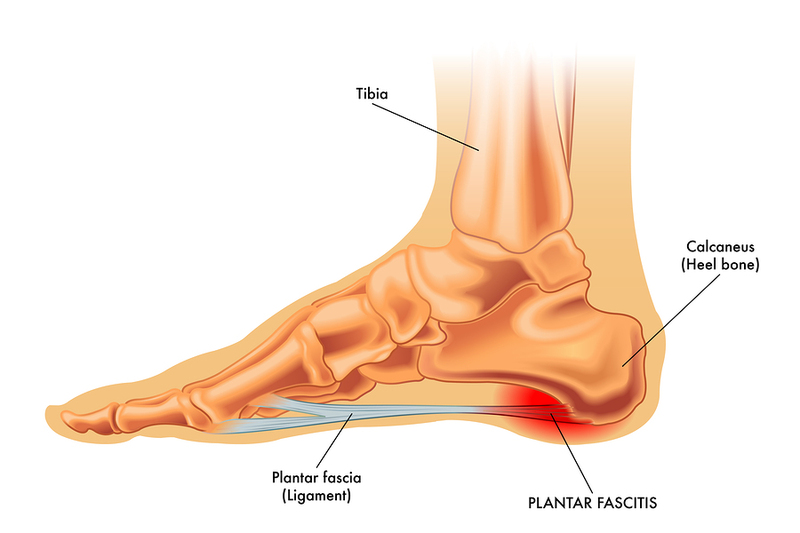 Hopefully that helps you understand a little bit more about the plantar fascia surgery and the things that can go wrong and some of the stuff you might consider if it does go wrong and you’re not running. It is a really tough problem and hopefully you and your surgeon are going to come up with a right solution which will actually help you get back to running. Again, I really do believe there is always a way to get back to running. You’ll just have to figure out what the mechanics are and what the real fix is to actually get you back to running. Again, just remember we have a contest going on for the next three weeks. I’m going to pick a name from people that write review on iTunes. Just go leave an iTunes review for the Doc ON The Run Podcast. Send an email to me at drsegler@docontherun.com and let me know that you posted your review on iTunes.